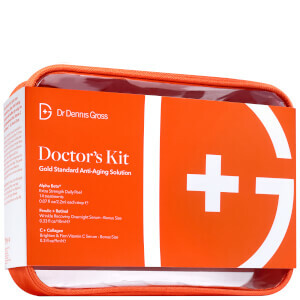 Treat your skin to the benefits of the Smooth and Radiant Kit with Brightening Solution from Dr Dennis Gross. Combining a two-step facial peel and a radiance-reviving serum, you can experience a smooth, luminous complexion with a youthful glow. A facial peel developed to reduce the appearance of fine lines, wrinkles and dark spots and minimise the visibility of enlarged pores. 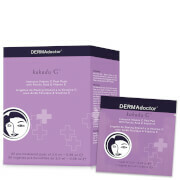 Suitable for even the most sensitive skin types, the powerful treatment pads are pre-soaked for easy application. Combining high concentrations of Alpha Beta® Hydroxy Acids, anti-aging boosters and Willow Bark Extract, step one works to exfoliate, nourish and rejuvenate, whilst step two utilises Glycolic and Mandelic Acids for their anti-aging properties. 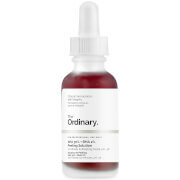 A clinical strength, fast-absorbing serum that works to prevent and correct sun damage and dark spots. 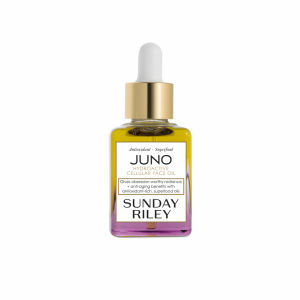 Powered by Retinol and Ferulic Acid, a plant-based antioxidant, the anti-aging, firming treatment inhibits the body’s natural enzymes that break down collagen, whilst counteracting free radicals to combat uneven skin tone and minimise the appearance of fine lines and wrinkles. Licorice Root Extract restores luminosity to leave skin smoother, brighter and more refined. Suitable for all skin types. Alpha Beta® Peel Extra Strength: Follow the quick and easy two-step process, applying each pre-soaked towelette to your face, neck and décolleté using a circular motion. Can be used every day (morning or evening), followed by your serum and moisturizer. 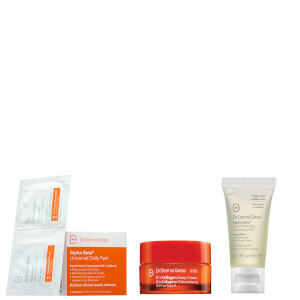 Brightening Solution: Apply daily morning and night as an all-over treatment under moisturizer and sunscreen. 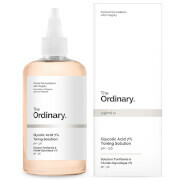 Brightening Solution: Water/Aqua/Eau, Ethoxydiglycol, Propylene Glycol, Glycerin, Potassium Azeloyl Diglycinate, Ferulic Acid, Retinol, Glycyrrhiza Glabra (Licorice) Root Extract, Arctostaphylos Uva Ursi Leaf Extract, Arbutin, Morus Nigra Fruit Extract, Salix Alba (Willow) Bark Extract, Salicylic Acid, Glycolic Acid, Mandelic Acid, Hexylresorcinol, Sodium Hyaluronate, Tocopherol, Panthenol, Quercetin, Disodium Lauriminodipropionate Tocopheryl Phosphates, Ubiquinone, Lecithin, Disodium EDTA, PVM/MA Decadiene Crosspolymer, BHT, Urea, Polysorbate 20, Potassium Hydroxide, Phenoxyethanol.